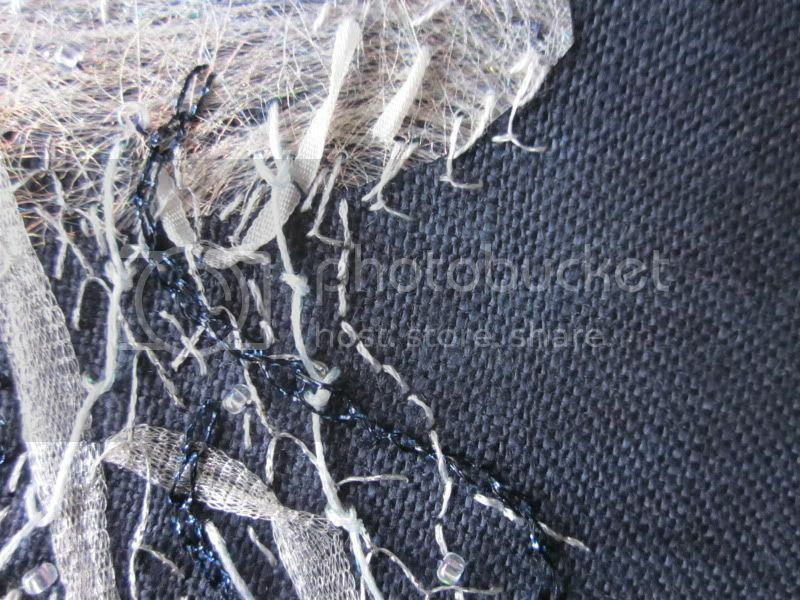 Yesterday I finished a couple large, annoying reports that had prevented me from stitching much for a few days. When that weight lifted, I thought to myself, now I need to make something shiny. 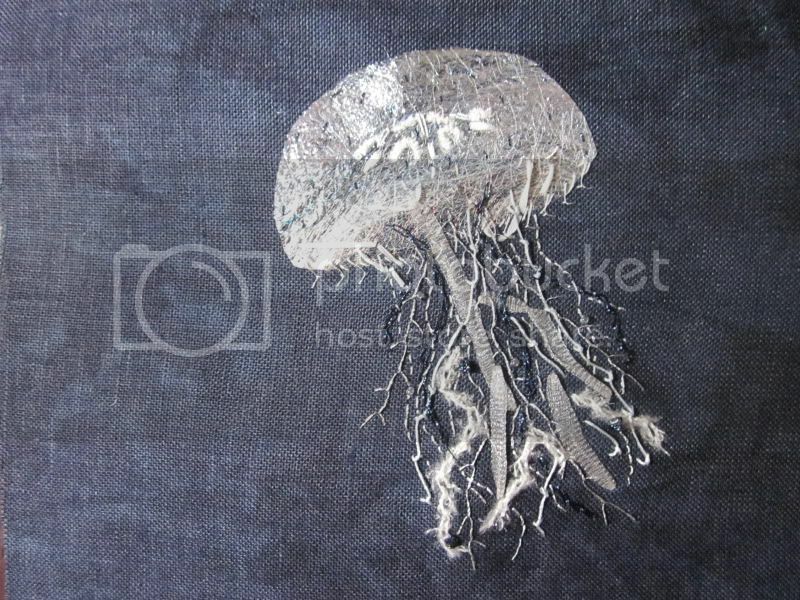 Rooting through the stash, the silver thread and the navy fabric jumped into my hand and out came this jellyfish. I still find it amazing how sometimes inspiration strikes and something I am proud of can be made in just a few hours, while so often the finished product takes months. 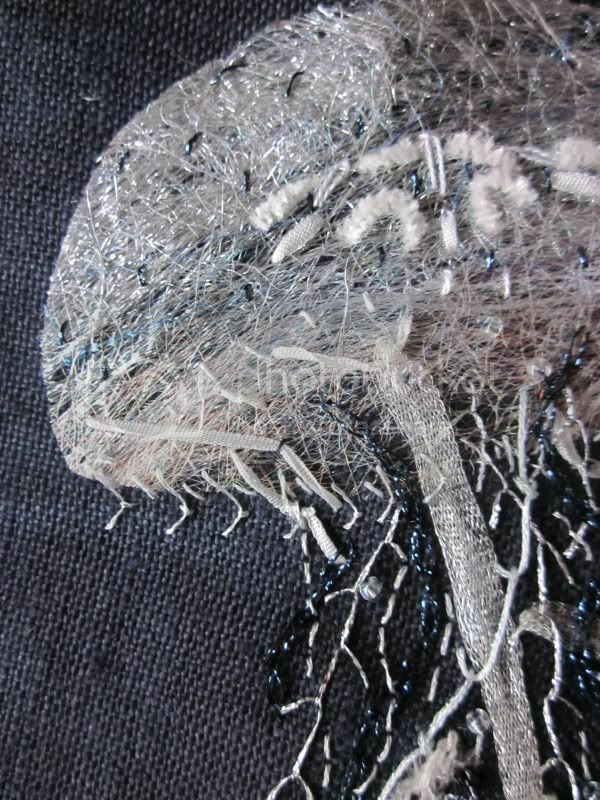 The "head" of this jellyfish is Angelina fibers and the background fabric is a gorgeous 35 ct HDF linen, which is now discontinued. I really wish I had purchased more of this wonderful color when I had the chance. 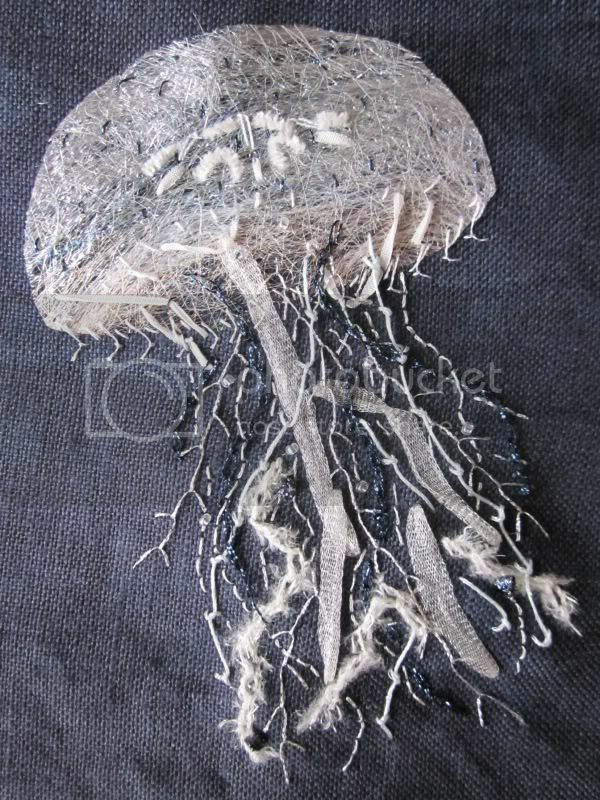 The guts and tentacles are a big variety of silk and synthetic fibers. With a few glass beads thrown on because there just wasn't enough sparkle.